Jen deHaan is a freelance illustrator, graphic designer, and web professional. Jen was born and raised in B.C., moving to Vancouver Island when she was 4. For about 13 years, Jen worked in San Francisco and Sunnyvale, California (in Silicon Valley) mostly at software corporations including Adobe Systems Inc on their web and video product lines. She is now based in the central area of Vancouver Island B.C. Canada and is offering web development, web design, and graphic design. 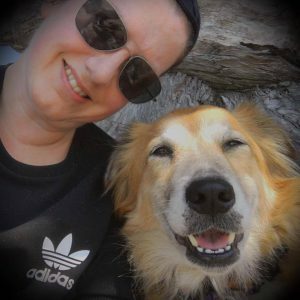 Jen has been working in the software industry since 2001, and has held positions with Macromedia, Adobe, and Motorola after freelancing for several years in Canada. For many years Jen worked on the Flash team, first as a writer and then as an Instructional Designer and later as a Quality Engineer for the animation and design features. She then worked at Motorola managing a team that was responsible for a developer community, producing documentation and a website that supported multiple software products. She has written and contributed to over 20 print publications on web design, animation, video and more that have been published by Peachpit, Adobe Press, and Wiley. Jen later independently consulted for several companies (small companies and corporations), developed an e-comm businesses of her own from scratch, and helped other companies do the same. In her spare time, Jen is interested in dog behavior, and plant-based nutrition. Jen is also a group exercise instructor, teaching a dance fitness exercise format called Cardio Dance Club in Nanaimo, Errington, Qualicum Beach, and Parksville, B.C. For more information about Jen’s professional background, please see this page on LinkedIn. If you have any questions, please feel free to send Jen a message.